Position at Schnepp Senior Care & Rehab Center located at 427 E. Washington Avenue, St. Louis MI 48880. Posted 3 weeks ago . 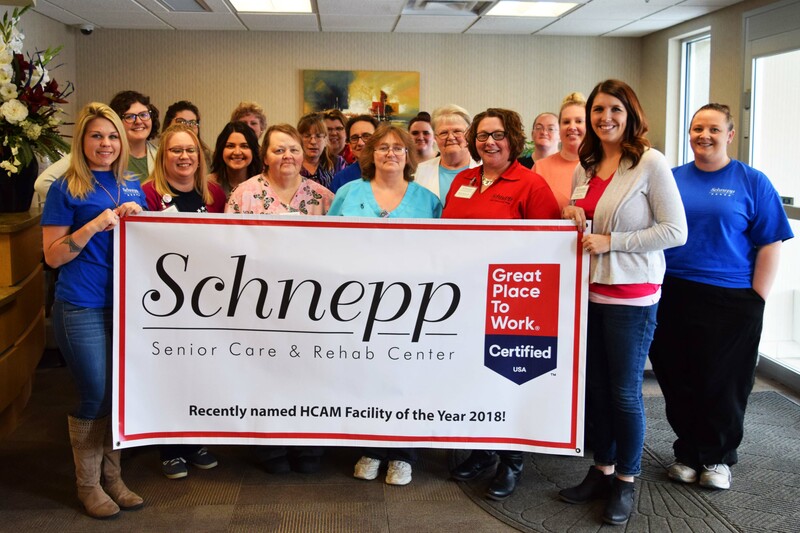 Schnepp is HCAM’s 2018 Facility of the Year and was recently awarded the Great Places to Work designation. Come in to see what all the fuss is about! The MDS Coordinator is responsible for the timely and accurate completion of the Resident Assessment Instrument process. With a thorough knowledge of state and federal regulations, you will provide key leadership and contributions in ensuring compliance to requirements. Must be a graduate from an accredited school of nursing with an Associate’s or Bachelor’s Degree, or higher, with 5+ years of related experience. Critical thinking skills, sound judgement and decision making skills, strong organizational and follow-up skills; attention to detail.